Business&ITCenter21 was the only resource I used this school year. It had every standard that we needed. I have dotted every 'i' and crossed every 't' by using this system. Patricia Carter isn’t your average middle school business teacher. She has a passion for teaching, of course. 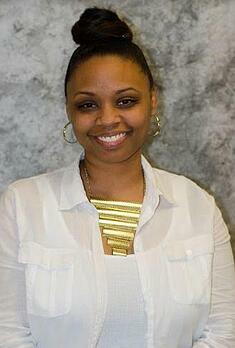 But she’s also passionate about business, marketing, academia, organization, communication, and classroom tech. Patricia also has a keen sensibility for telling which way the wind is blowing when it comes to teaching trends. To top it all off, she’s a problem-solver who can find a way to work with (or around) just about anything that comes her way. When you combine all of that together, you start to get an idea for how Patricia approaches her work. It’s crucial for Patricia to figure out those intricacies in her classroom since she sees hundreds of students every year. Naturally, she structures her classes so her students can learn effectively and receive fair grades. But Patricia also has to consider where she teaches. The state of Georgia has a lot of standards when it comes to teaching middle school business, computer applications, and career readiness. Often, those topics get rolled together into one classroom. At John M. Tutt Middle School, that’s Patricia’s classroom. So how does Patricia manage all of those students while meeting Georgia’s standards? The answer lies in Business&ITCenter21. It’s all too common for teachers in any subject to create a state-compliant class from scratch with few resources at their disposal. Fortunately for Patricia — and other Georgia business teachers — Business&ITCenter21 does the heavy lifting when it comes to state standards. Hitting those standards is obviously a crucial part of running any classroom. But Patricia wanted to get more out of Georgia’s standards than just a checkmark on a list. She wanted to prepare her students for the rest of their lives. 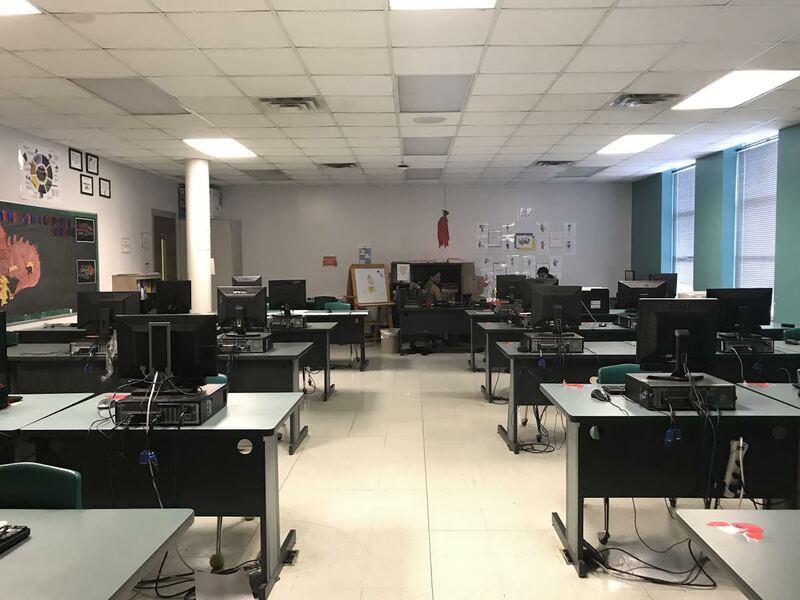 As it works with Georgia’s standards for business education, Business&ITCenter21 helps Patricia’s students keep up with the pace of technology. But Patricia wants to do more for students than letting them “keep up” with the rest of the world. With the inventive structure of her classroom, she helps them get ahead. One of middle school education’s biggest challenges is just getting students to do the work. This is even harder in a computer class with Internet access. After all, the Internet has an infinite number of distractions that can pull young students right out of their work. That’s why Patricia gives her students flexible options – and consequences to match. That’s why Patricia also passively reinforces career skills in her classroom. In fact, compared to most other classrooms, Patricia’s might look like it belongs in a corporate office than a public school. Showing up is just half the battle, though. Patricia also sets assessment deadlines for her students. If they meet the deadline, they’ll get the grade that they earn on the quiz. If they take it after the deadline, then they’ll get penalized for doing it late. And if they wait too long, they miss the opportunity to take the assessment altogether. Is Patricia’s classroom policy tough? Perhaps by today’s standards. In fact, Patricia ensures that fairness extends to every student who enters her classroom — including IEPs. A surprisingly high percentage of Patricia’s students have IEPs. As a result, Patricia can’t take a one-size-fits-all approach to her classroom. Instead, she has to get innovative – even more innovative than she got with her classroom structure. She found multiple solutions in Business&ITCenter21. Self-pacing lets students pursue lessons and assessments at a speed that lets them learn best. While Patricia has deadlines in her class, they’re far enough in advance that any student can meet them with the right work ethic and proper focus. As for the other materials in Business&ITCenter21, they can make a world of difference for students who learn one way better than another. Often, the single-strategy approach to education leaves a healthy portion of students feeling like they’re “dumb.” In reality, they just learn a different way. That’s why IEPs exist in the first place. It’s also why Business&ITCenter21 has videos, presentations, and text transcripts (among other resources) for every lesson. Those resources have extra benefits as well. Namely, they can help substitutes keep a class on track — sometimes for months at a time! Patricia is the proud mother of four children – two daughters and two sons. One of her daughters and one of her sons are 11 and 12, respectively, placing them in the student age groups that Patricia teaches each year. As a result, her approach to teaching considers every student to be her "child" when it comes to giving them the best possible education. So when she teaches, she's not just teaching from the perspective of a professional — she's considering how that teaching comes across as one of her own. "I teach how I would want teachers to teach my children," Patricia says. "It's necessary to look at both perspectives. It keeps me aligned with making sound decisions in my profession." During the ’17-’18 school year — Patricia’s third year of teaching — her youngest son arrived. Naturally, Patricia took maternity leave. She needed a long-term substitute. If you’re a teacher, you immediately understand the weight (and fear) of that sentence. This was especially true for Patricia because of her view of teaching every student as if they were her own child. But while every teacher will worry about their classroom when they’re not running it, Business&ITCenter21 helped Patricia feel more prepared than the average middle school instructor. This continuity may sound like a minor detail on paper. For Patricia, it was essential. With Business&ITCenter21 safely in her substitute’s hands, Patricia knew that the transition wouldn’t be perfect for the long-term sub. But Business&ITCenter21 could help smooth out that rocky period of the classroom. Would the substitute be able to do everything that Patricia could do? But at least the substitute had something to keep the students learning. With that, Patricia had created a versatile and flexible classroom that could withstand the tribulating period of a long-term substitute. It also let her bring blended learning into her classroom. Patricia is at the head of the pack when it comes to business teachers embracing blended learning. Her experience with online education shaped her views on how to show it to her current students. As a result, it prepares them for their futures. Patricia’s students get ready for “what’s coming” by logging into Business&ITCenter21 at the start of every class period. Then, they work on a module throughout the week. Their week starts with the "Explore" activity in a Business&ITCenter21 module. Then, they continue to the pre-test that evaluates their current understanding of a topic. The pre-test is graded, but the grade is not considered part of their final grade. Instead, it shows that student how much they know about a subject. After that, students move into the “Learn & Practice” activities, which build upon what they’ve just learned. Students conclude a module by completing an assessment at the end. It’s here that Patricia looks back on each student’s pre-test scores to see how they’ve progressed in terms of knowledge. Combined with Patricia’s classroom rules about deadlines, she’s empowered herself to help students earn the grade they’ve worked to earn — not the one that comes at the end of a test. She takes a student’s test scores, test score improvements, timeliness, and participation all into account for their final grade. That helps the students who mean well, but may not have the firmest grasp of one or two concepts in the classroom. Most importantly, it incentivizes students to be accountable. That memory is clearly expressed in Patricia’s classroom, too. In fact, accountability is built into the structure of her classes. Creating a flexible, deadline-driven classroom culture can have consequences outside the classroom itself. Patricia has had students who skip doing their work, meaning they don't even log into Business&ITCenter21 in the first place. That means they also don't do their work, which earns them a grade of zero. But some of these students will tell their parents that they did complete the work. As far as they tell it, the student has no idea why they got a zero for all their effort. The student stretched the truth, but their parents don't know that. But when parents contact Patricia demanding answers, she uses Business&ITCenter21's student report options to reveal the truth in a matter of minutes. This simple function of Business&ITCenter21 reinforces accountability and responsibility for Patricia’s students. They can’t fib to their parents about why their grade is low in her class. She has the documentation anytime, anywhere at her fingertips. Patricia also goes the extra mile when it comes to classroom transparency. Students and parents alike can log into Tutt Middle School’s web portal and see exactly what’s coming down the road in terms of assignments, lessons, and quizzes. If anyone ever wants to know anything, it’s all online. And if Patricia ever has to check on a student’s progress, she can do it in a couple of clicks. Ultimately, the combination of Patricia’s innovative teaching strategies, classroom structure, and Business&ITCenter21 help her prep students for the next big chapter of their lives. Middle school business education is often an elective. But that doesn’t mean it’s any less important to the intellectual development of students who choose it. In fact, it’s exceptionally important for students who want to learn more about the information technology industry. Patricia is close with other teachers in the area, including those who teach at the high school level. In high school, classes on cybersecurity and other high-tech topics are quickly becoming popular among curious students. It’s a challenge to teach those topics in high school, according to Patricia’s colleague. After all, they’re highly advanced, and they require a pre-existing knowledge for students to get the most out of the class. Then, Patricia showed Business&ITCenter21 to a high school colleague of her — a colleague who happened to have a daughter in one of Patricia's classes. Word got around about Business&ITCenter21 after that. Now, two teachers have scheduled times to watch Patricia teach — especially with Business&ITCenter21. On top of that, Patricia and her teaching mentor plan to take Business&ITCenter21 to their director with all of this information. With all of this in mind, Patricia knew that Business&ITCenter21 could help her students on the track to a successful career in high school and beyond. Want Patricia’s Results? Try Business&ITCenter21 for Yourself! Combined with Patricia’s inventive takes on teaching and student management, Business&ITCenter21 gave her the extra resources she and her students needed to excel in the classroom. Patricia has done some fantastic things with Business&ITCenter21. She’s the prime example of how digital curriculum and a passion for teaching can completely transform a class and the students in it. Do you want to get results like Patricia’s? You can test out the Business&ITCenter21 pilot for yourself.